What do I do when my son learns phrases in school that he’s not allowed to say at home? Melissa Trevathan and Sissy Goff hear these types of questions and many other comments from parents on a daily basis in their counseling office and at ministry events. Today, more than ever before, we live in a culture that is at war against our parenting. Between the internet, the media, the sense of entitlement that kids are living with, the disrespect . . . it is almost too much. We often wish we could move back to Mayberry, where our biggest concern was who had set off the firecrackers in the neighbor’s garage. 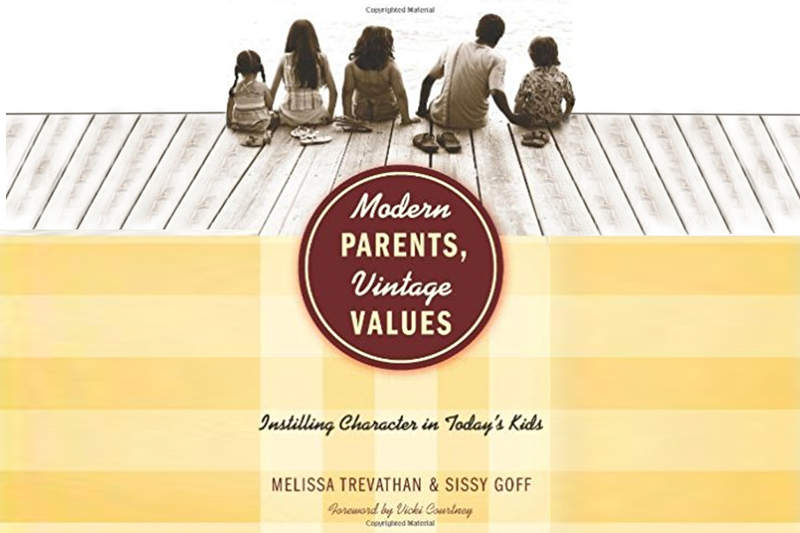 While those aren’t the issues most parents are facing today, Melissa and Sissy believe we can still raise children who value, well, values. They provide a clear and possible path back to cultivating children who have a sense of character and groundedness, who may not be as rampant across playgrounds and parks as they once were. They paint the picture of how to raise children with manners and kindness and with a healthy sense of fear and respect both for their world and the adults around them–and to do so without totally disengaging from the realities of today’s world. In short, they believe it is still possible to instill vintage values in modern kids.